Federal Treasurer Wayne Swan has rejected backbench calls for the Government to reinstate higher welfare payments for single parents. Tens of thousands of single parents have been moved from their parenting payments onto the lower Newstart allowance, with some left more than $100 per week worse off. Left faction powerbroker Doug Cameron says the current benefits will drive people into entrenched poverty, but Mr Swan says parents can access other financial benefits to supplement the dole. He says his main aim is getting people into the workforce. “As a member of the Labor Party, the reason I joined and got involved in the political process was to ensure people on low and modest incomes had a say and a stake in our future prosperity, and that they could get opportunities for their kids irrespective of what postcode they came from,” he said. The matter is likely to be raised in Caucus when Parliament resumes next month. 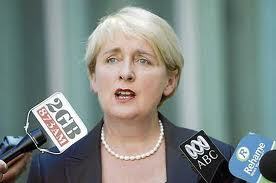 Health Minister Tanya Plibersek today refused to comment on welfare negotiations within the Labor Party. “I’m simply not going to get into that. It’s difficult to live on income support payments, and the best way we can help people on income support payments is to get them a job,” she said. Families Minister Jenny Macklin infuriated many when she told reporters she could live on the unemployment benefit, which equates to about $35 a day. In response, the Greens challenged her to live on the dole for a week, while the Opposition accused Ms Macklin of being out of touch. “For a minister to lecture single mothers about living within their means at the same time as her own Government can’t live within theirs,” Opposition spokesman Jamie Briggs said. Ms Macklin also faced critics on her own side of the chamber, with Senator Cameron expressing shock at the comments. “I was gobsmacked. It’s so unlike the Jenny Macklin I have known for many years,” he said. But Ms Macklin’s remarks are consistent with Ms Lambley, a member of the Country Liberal Party. “I probably used to live on less,” Ms Lambley said.